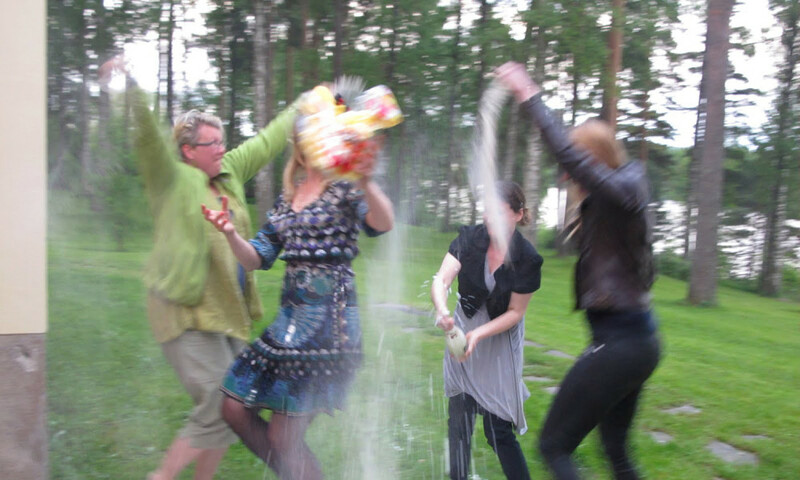 JOKAklubi is a group of Finnish visual artist and performers. 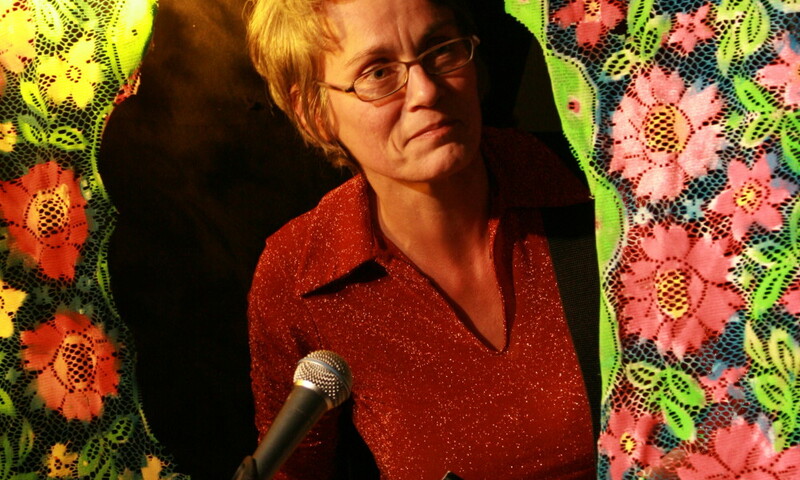 The members Niina Lehtonen Braun, Mirka Raito and Tellervo Kalleinen have a long history of performing together including the group Voukkoset (1999-2001). 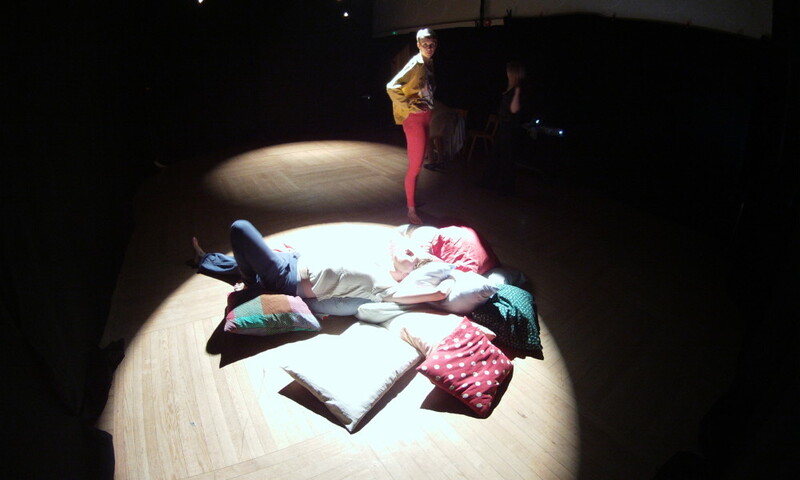 Inspired by people, JOKAklubi´s stage is always open for guest stars. Local audiences find space in their shows as well and depending on who, what and where, a unique ambience emerges. JOKAklubi built a time machine, which can bring the memories of the audience alive again. The stage is opened for local underground talents, welcoming any kinds of short performances. The jury takes absurd forms such as an oracle or off art accumulator, while trying to judge what is on and what is off. Since 2009 Off Art Talent Show was performed in URB 10 (Helsinki), Atelier Frankfurt (Frankfurt), Fluc (Vienna), General Public (Berlin), Diamond (Pori), Shedhalle (Zurich), W139 (Amsterdam) and West Germany (Berlin). JOKAklubi exchanged their treasures with the audience. The treasures varied from stories and memories to rings and souvenirs. For example, an audience member played his old tapes, which were treasure for him, and JOKAklubi re-enacted their dear memory of a hugging fat man as exchange. The audience have to make a choice. They have to choose if they will spend their evening in the Peace or Action space. One door leads to a space which is practically performance-free, where the pleasant lounge environment is led by the a lovely MC. The other door leads to a space of unpredictable and constant performances. The path that is taken to the spaces provides preparation which guarantees that the participants pulse and state of mind are synchronized with the space that awaits them. After making a choice you are not allowed to change spaces, but you are provided an opportunity to feel and express regret. 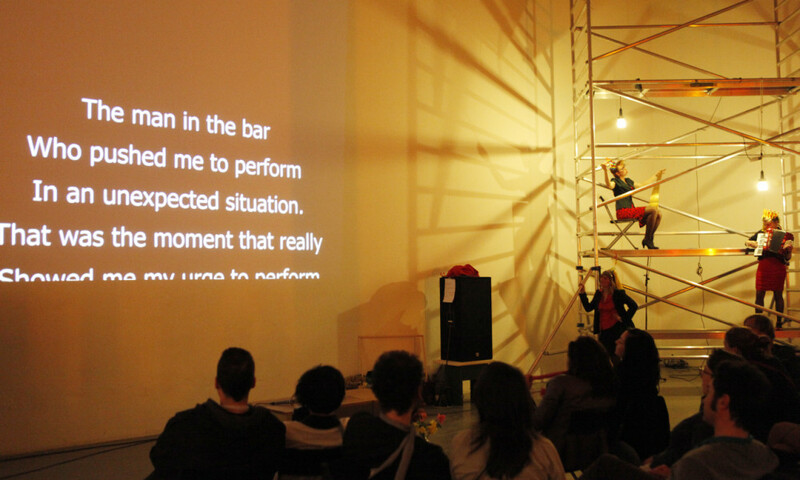 The event invites people to rehearse their individual endings in an unusual and artistically pleasing setting created by JOKAklubi and guest stars. 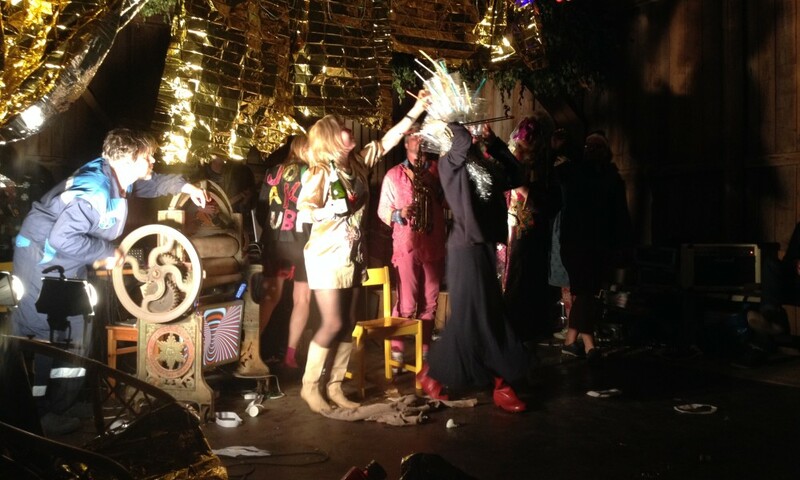 For example, the last wishes of the audience members are painted and sometimes acted by JOKAklubi. People can also write down their end credits: If this would be the end, whom would they credit and what would they credit them for? Their end credits will be turned into cinematic end credits, and a live sound track is played while the text is slowly scrolling up.